Whether it's new or used, buying a car is a major investment that requires a great deal of thought and consideration. In the past, comparison shopping for a new vehicle was a time-consuming and daunting task; thanks to the Internet, it is a lot more streamlined, efficient and fast. Edmunds epitomizes the potential of shopping around for a new car online, especially with its TMV - or True Market Value - section. When tied in with Edmunds.com's new car price quoting process, car shoppers today can make more informed decisions than ever before. By understanding the benefits of Edmunds' True Market Value section and how it can be used in conjunction with the new car price quoting feature, you can become a truly savvy automobile consumer. In this review, we will take a closer look at Edmunds' TMV section, how they calculate automobile pricing and how you can take advantage of this data to make the best decision possible. In Edmunds' New TMV® Prices section, you can learn more about the process by which this company arrives at its automobile price calculations. According to the site, an amalgamation of important data is culled, reviewed and boiled down by statisticians, pricing experts and other key contributors. 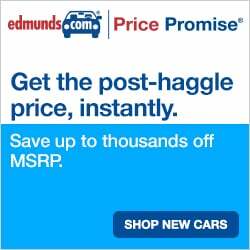 For regular new model vehicles and brand new models of vehicles, Edmunds does not take the following into consideration: manufacturer-to-consumer rebates, tax and title fees or license and registration fees. Raw Transaction Data - Records of used car sales form the backbone of the price calculations that Edmunds makes for its Used TMV® Prices. Additional Calculations - The professionally trained staff at Edmunds calculates different scenarios in order to arrive at the price for any given used vehicle, including dealer trade-in value, dealer retail value and private party transaction value. 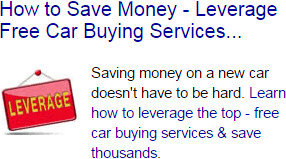 In this way, you can get an idea about the big picture behind the price of any given used vehicle. Edmunds provides used car price data for vehicles that date back to 1990. Their Used TMV® Prices do not include tax, title or license and registration fees. The kind of financing that you'll receive for the car of your choice plays a very important role in how much you're going to pay. In order to receive the best deal possible, it helps to have an idea about what kind of financing you'll qualify for before shopping for it. In Edmunds' Finance TMV® section helps you learn what your current credit situation looks like to lenders. In addition to taking the average lending rates for new and used vehicles into consideration, Edmunds uses a Personal Credit Analyzer to help you assess what sort of interest rate you're likely to qualify for. Using your personal credit history, Edmunds tells you which of its Personal Credit Tiers you fall into. These easy-to-understand categories range from Platinum, for excellent, to Bronze. By figuring out which of these tiers applies to you, you can have a better idea about the kind of financing you'll receive. From there, you can more accurately predict the total price that you'll pay and can be a much savvier and more informed shopper. Once you've researched the current going rate for the car or cars that you're interested in, and after you've determined the approximate amount you are likely to pay for financing, Edmunds takes things one step further by alerting you to potentially exceptional deals and incentives. In the Incentives and Rebates section of the site, you can submit your zip code and receive a list of deals based on the area that you live in. In Edmunds' True Market Value® Deals of the Month section, you can learn more about several different possible deals that are culled from all of the data that Edmunds continuously collects. Using price trends and other statistical data, Edmunds can provide you with a forecast of the pricing of a particular vehicle. This way, you can determine whether the price is going up, going down or holding steady. From there, you can gauge whether to buy now or whether to wait a bit for a better deal. If you're in the market for a new car, you can conduct every stitch of pricing information imaginable within Edmunds' TMV® section. When combined with their intuitive new car price quote process, which is easy enough for anyone to use, you can arrive at the best possible deal for the vehicle of your choice more easily and quickly.